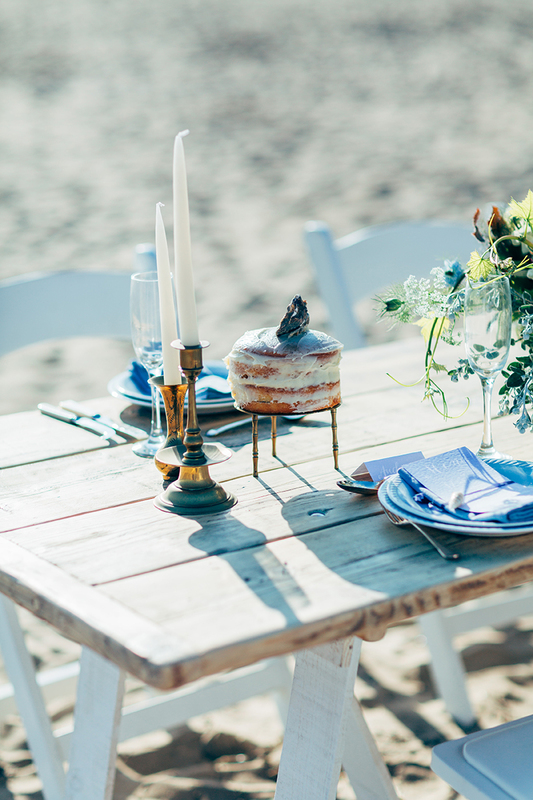 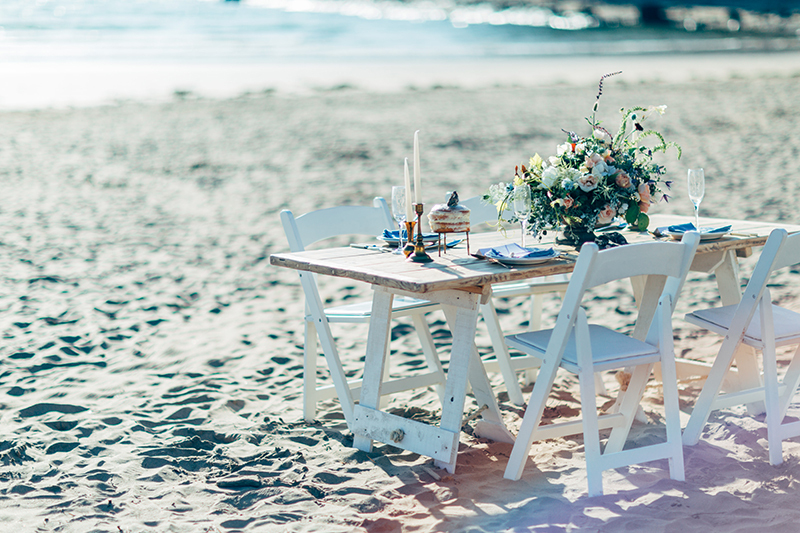 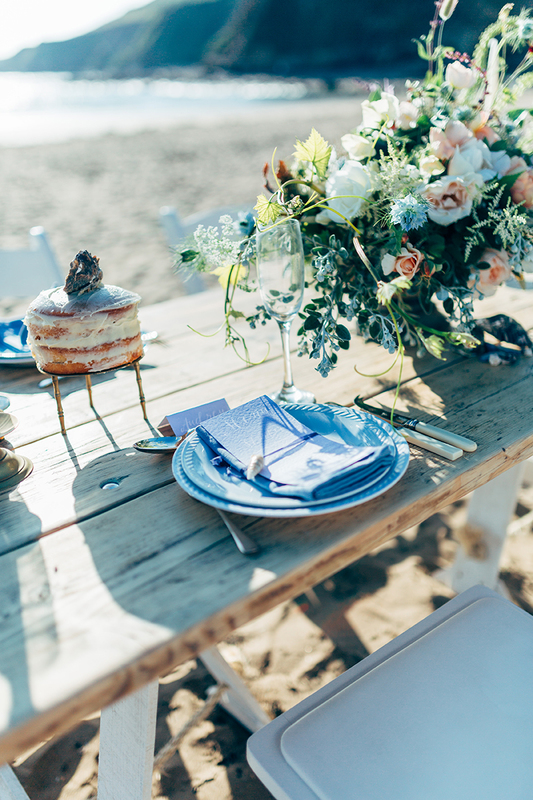 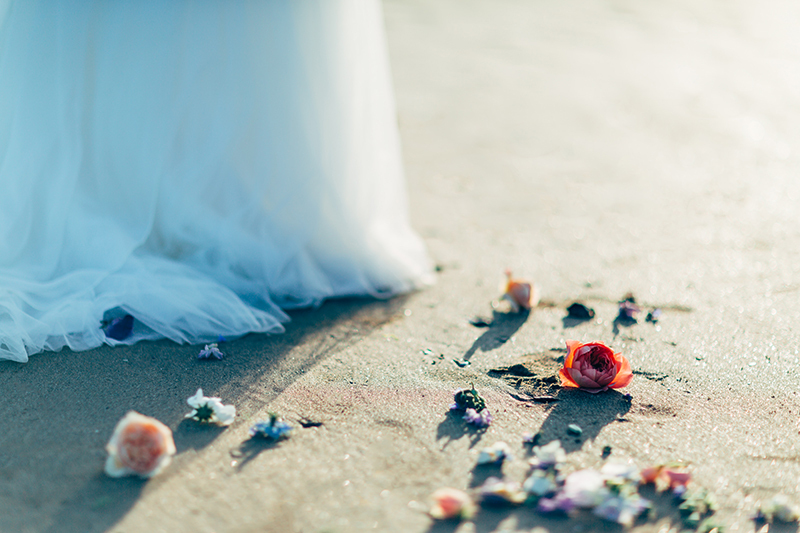 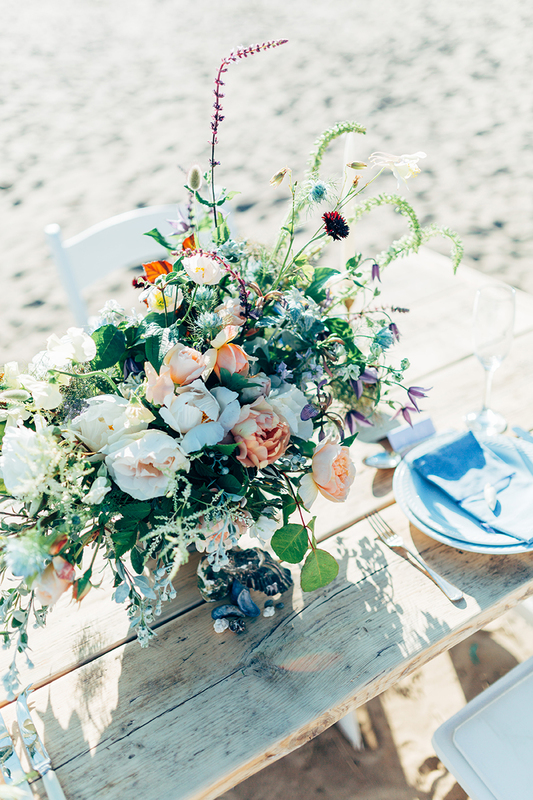 Today we have just the thing to warm the cockles of your heart during these long winter nights – beautiful beach wedding inspiration. 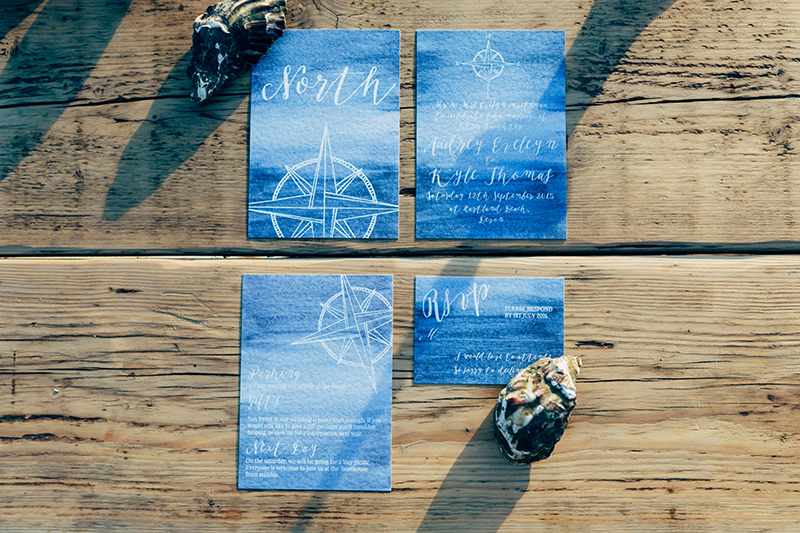 When many brides to be think of incorporating nautical nuances into their big day, navy stripes and boating emblems come to mind. 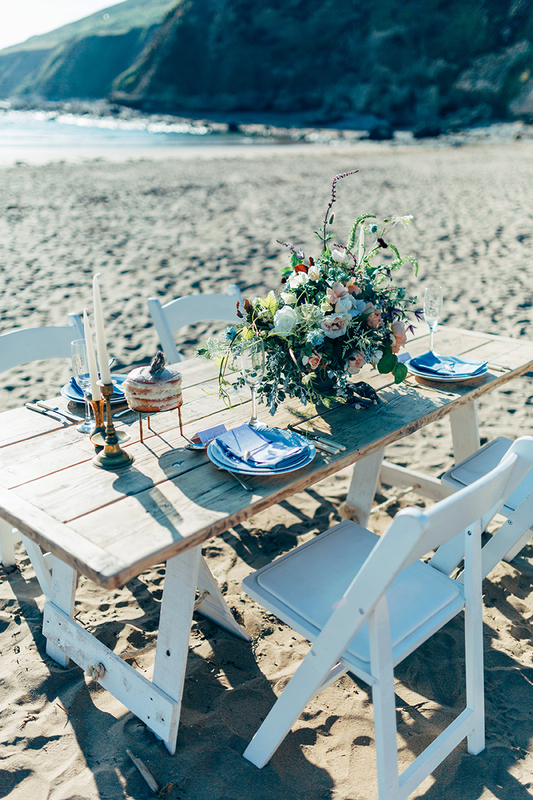 And whilst these are all very striking, there is a huge amount more to a beach theme that can move away from the obvious to create a rustic and natural look for the day. 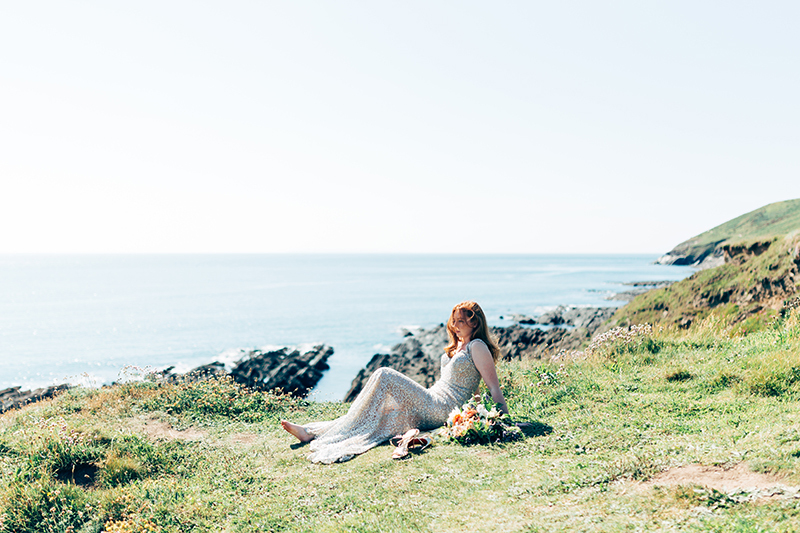 This stunning shoot, photographed by Miss Gen, has echoes of mystical mermaids, with subtle seaside accents that will captivate your imagination. 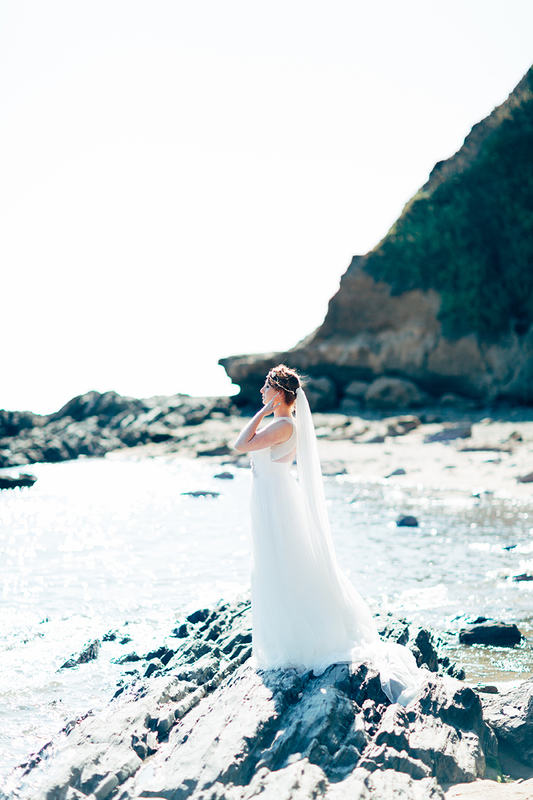 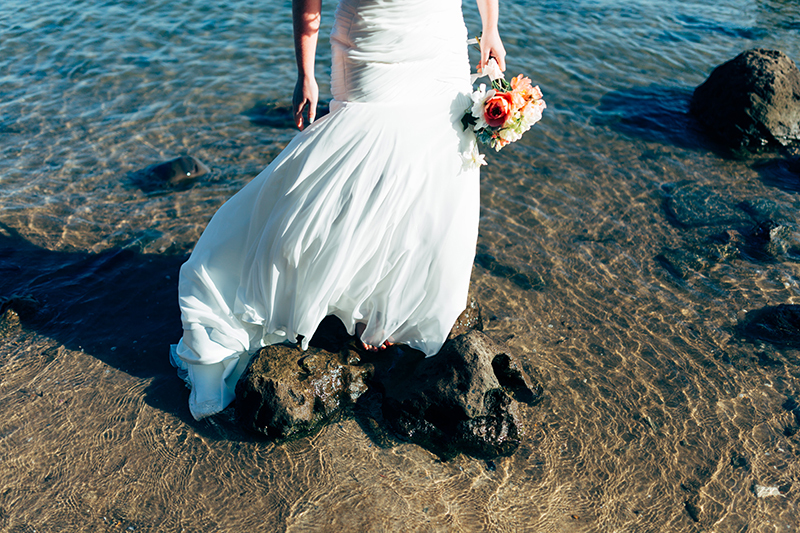 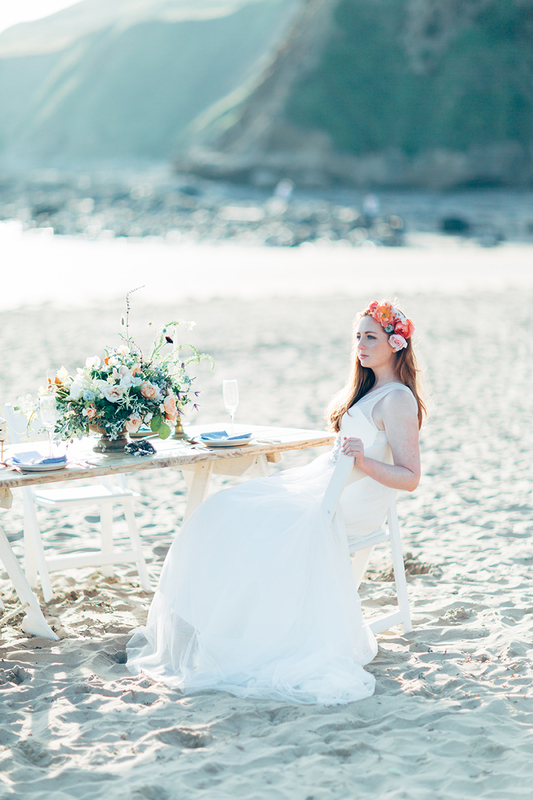 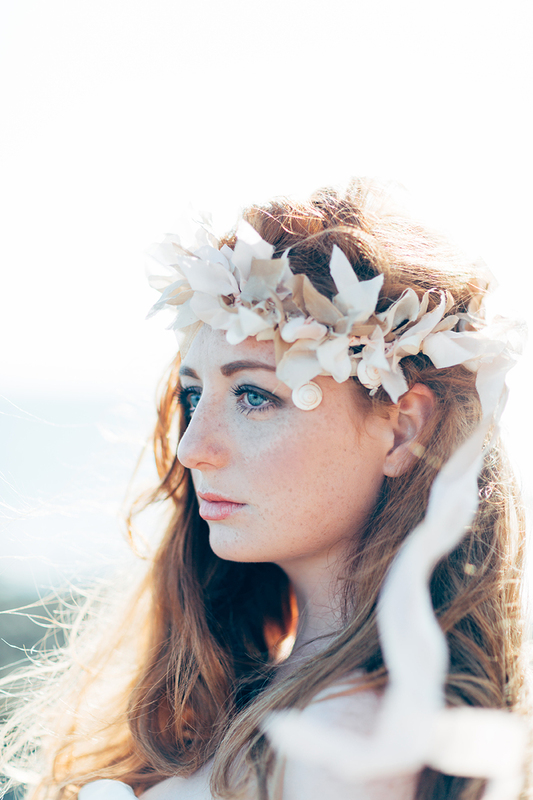 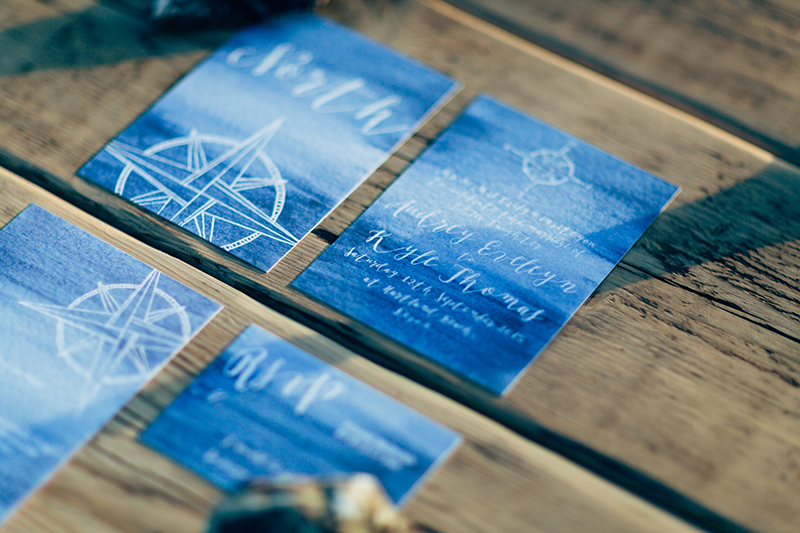 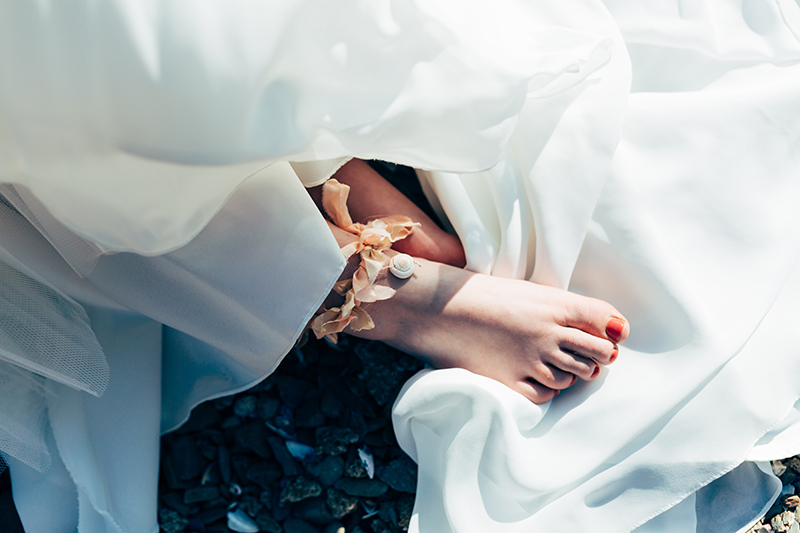 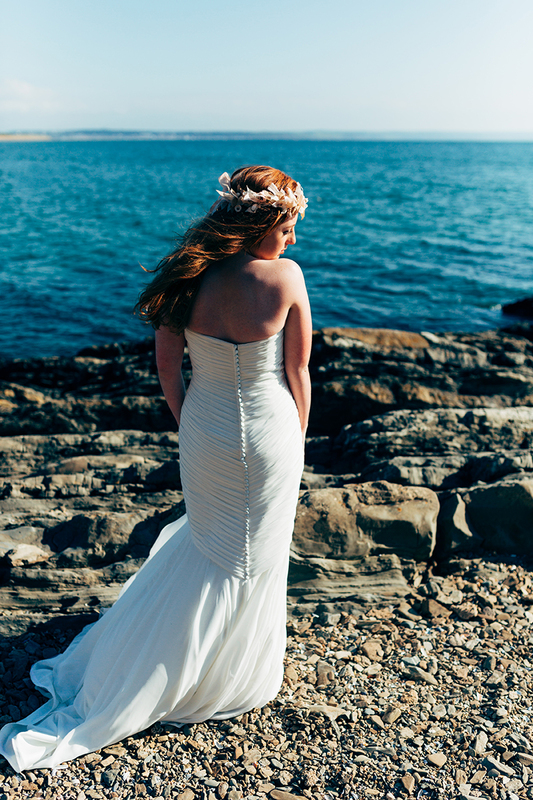 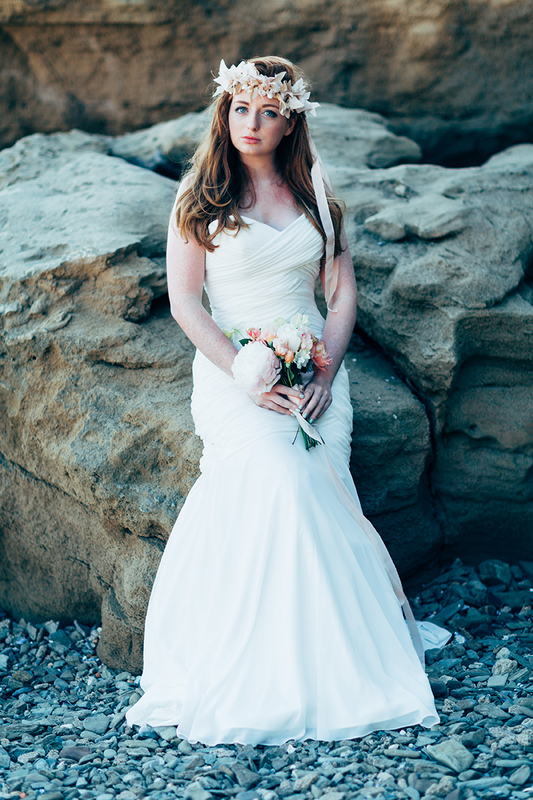 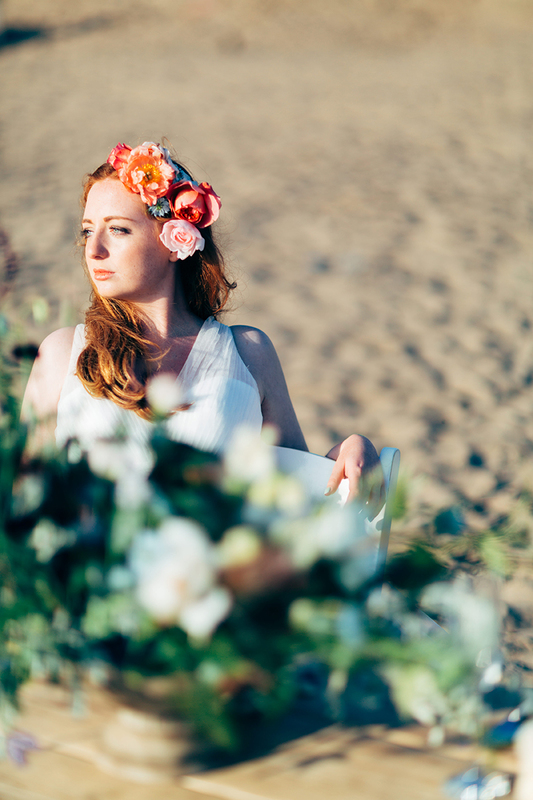 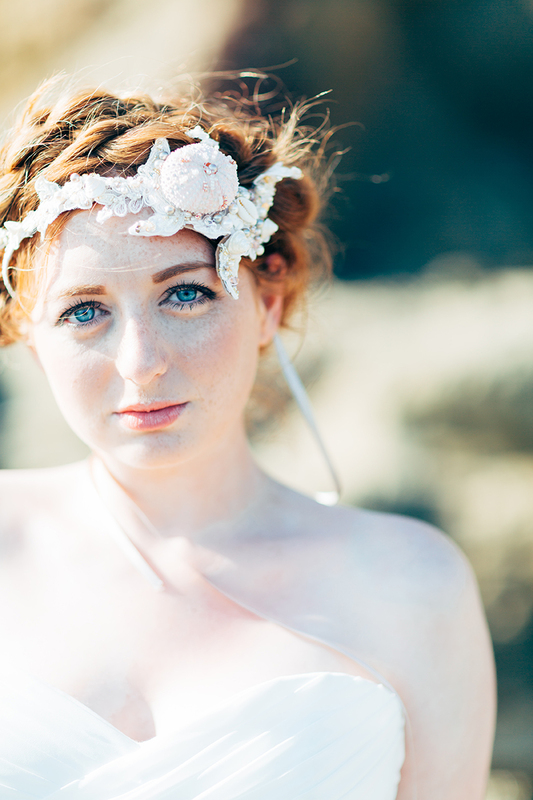 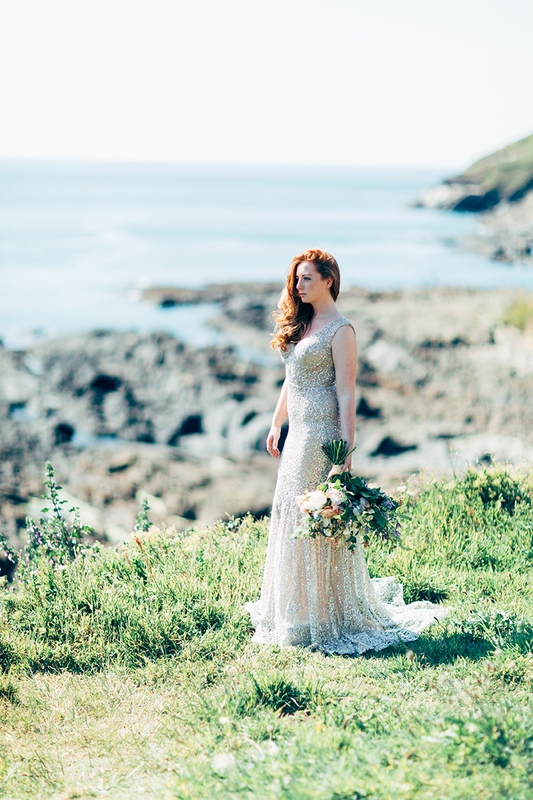 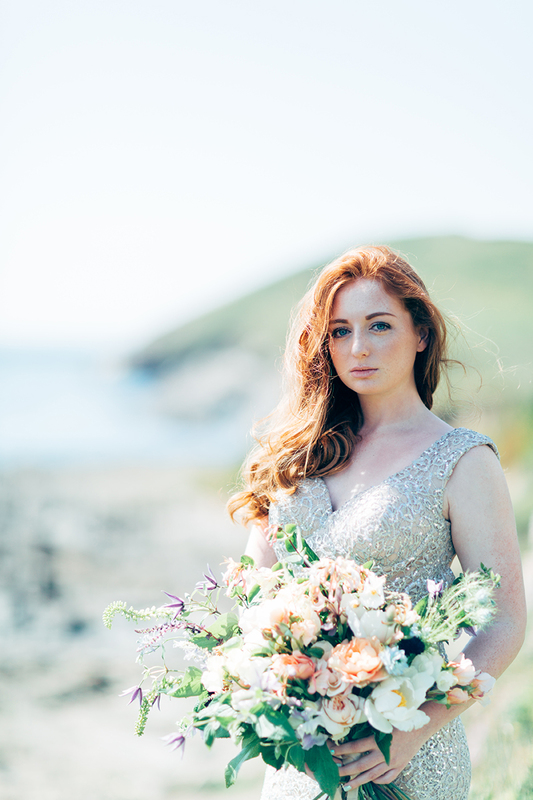 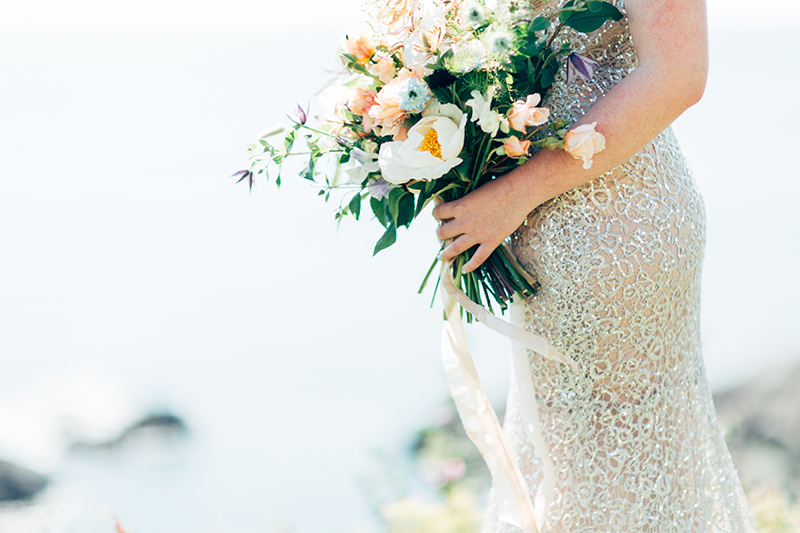 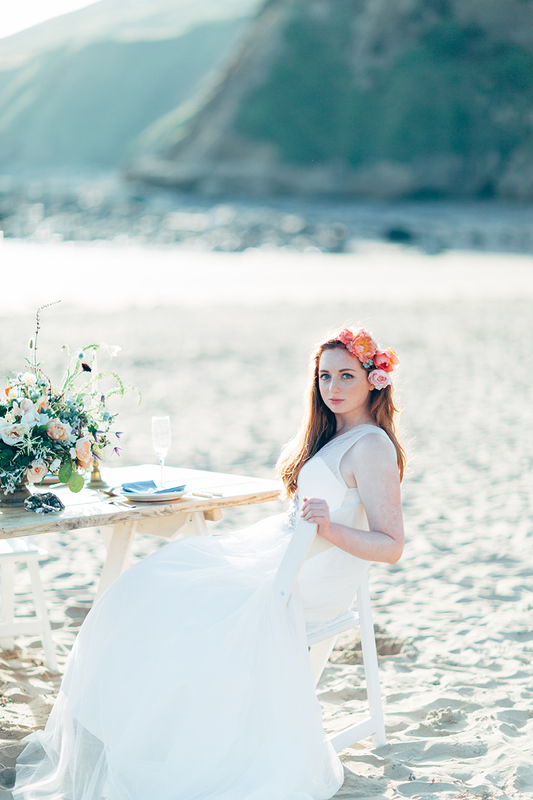 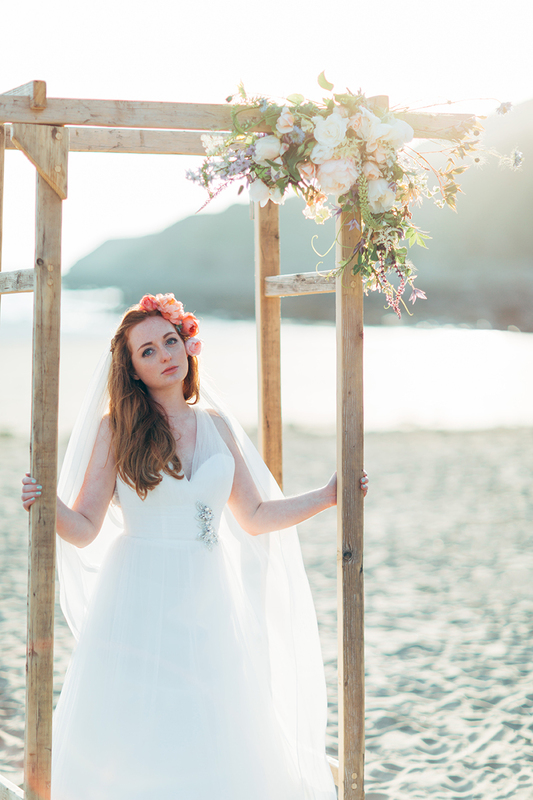 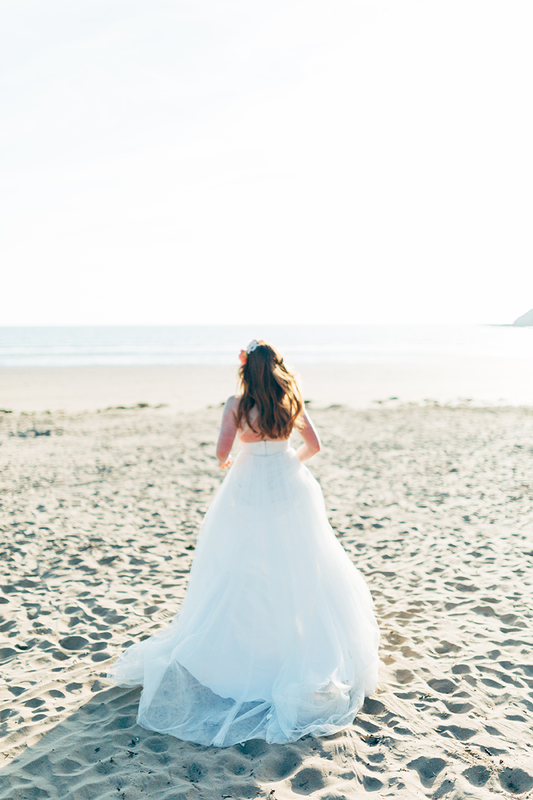 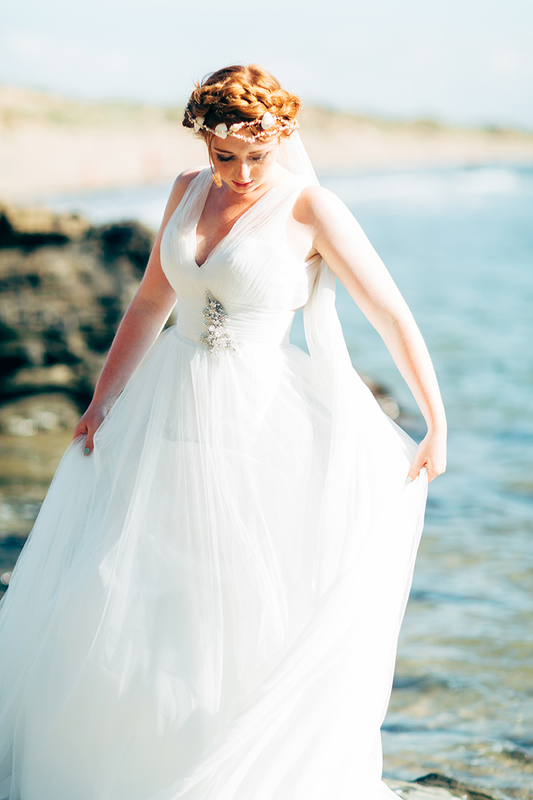 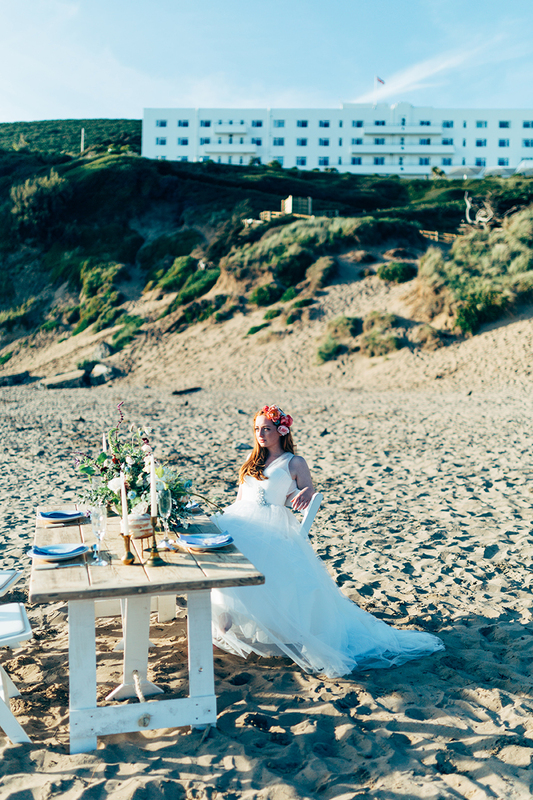 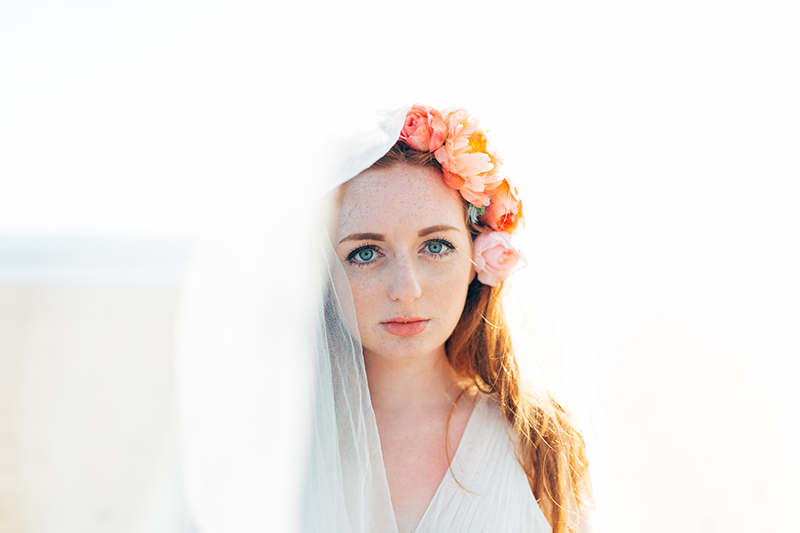 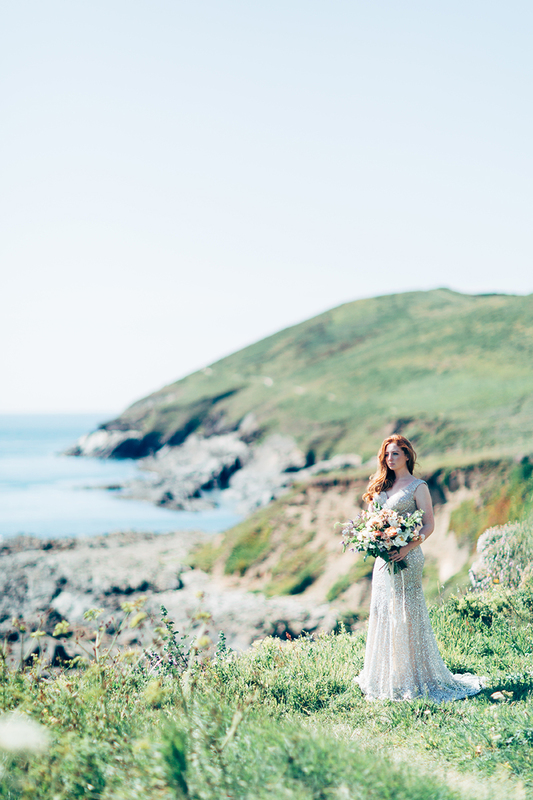 With Genevieve from Miss Gen Photo visiting our beautiful Devon coastline for a couple of days, a “Sea Siren” inspired shoot seemed a natural direction to take as we wanted to offer an alternative to more traditional nautical wedding schemes. 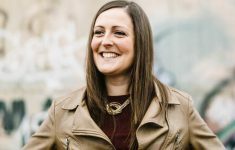 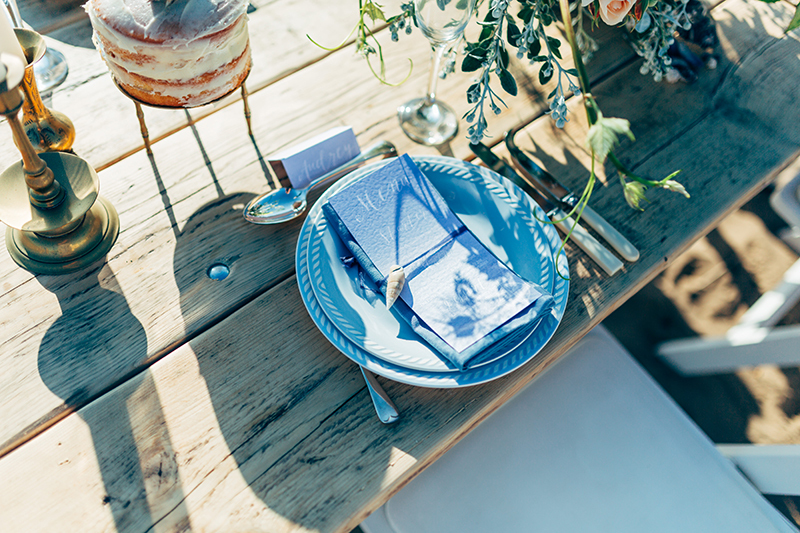 With the help of mainly local based suppliers I took inspiration from emerging and enduring fashion trends as well as some of the natural palettes of the sea – making neutrals, metallics and deep blue hues our main source focus for all the delicious details. 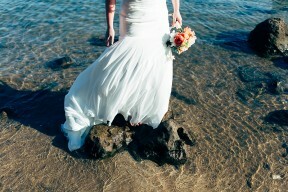 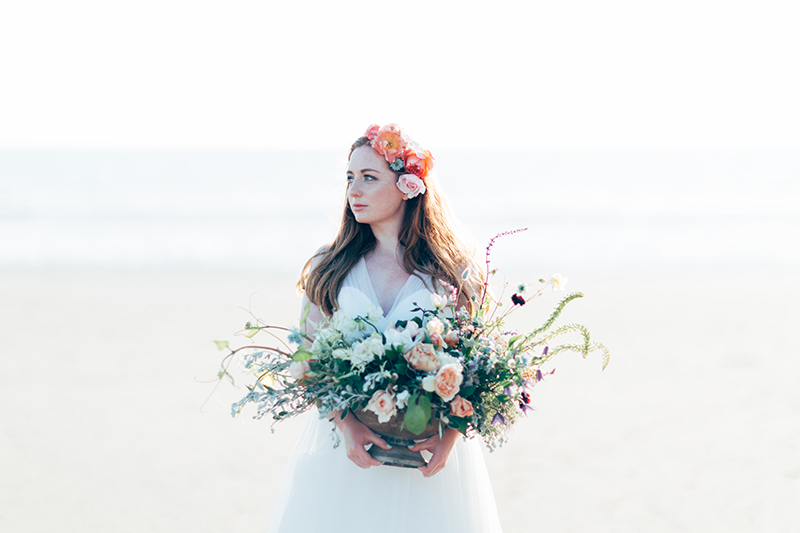 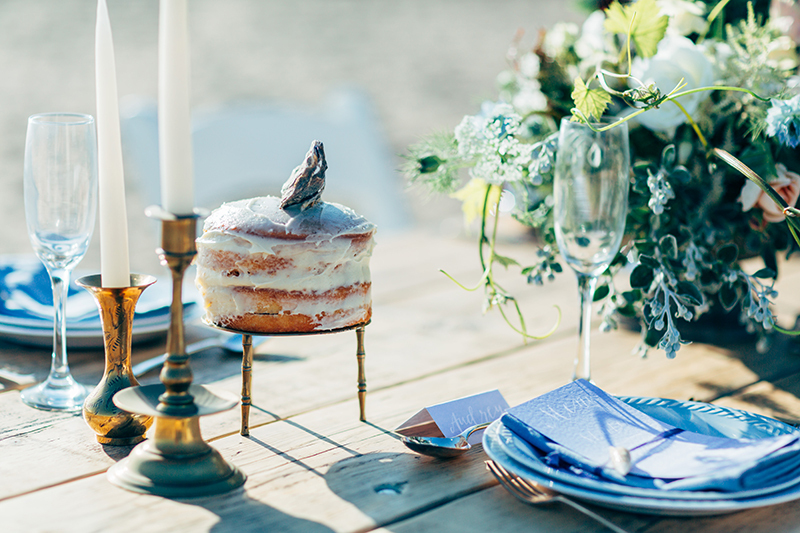 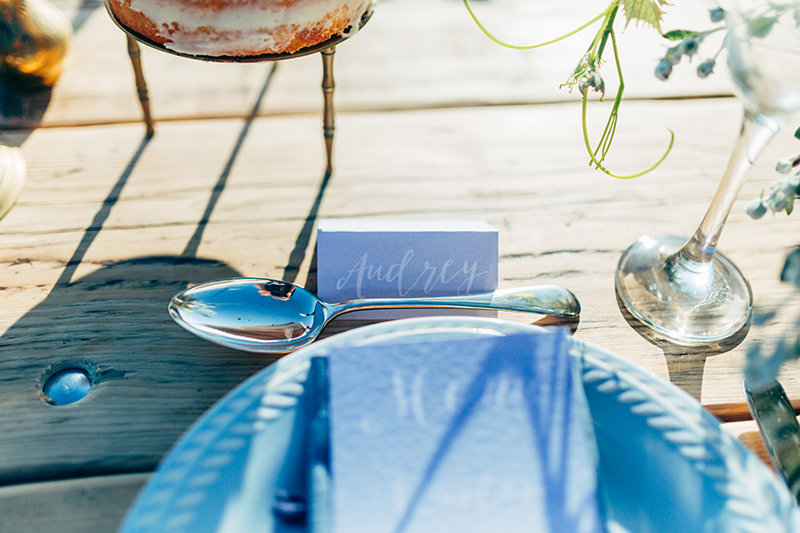 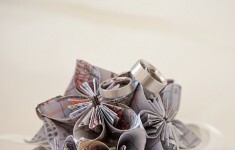 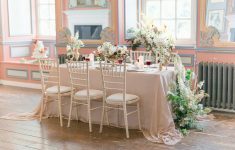 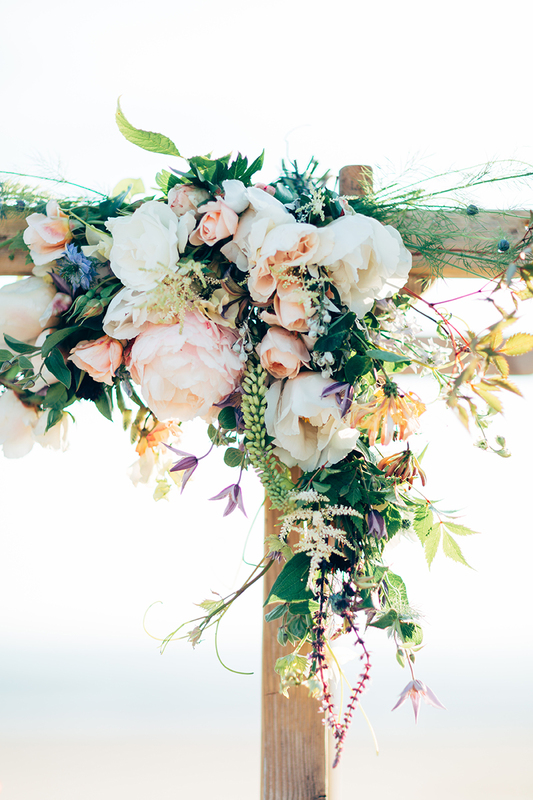 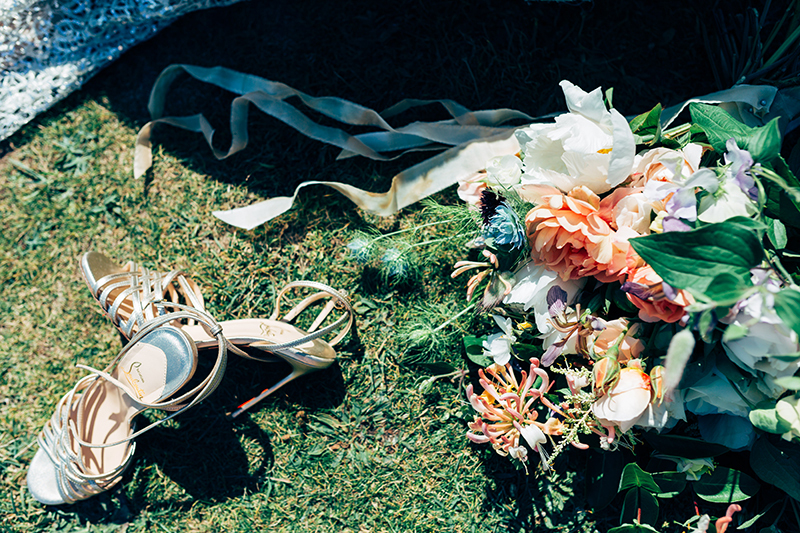 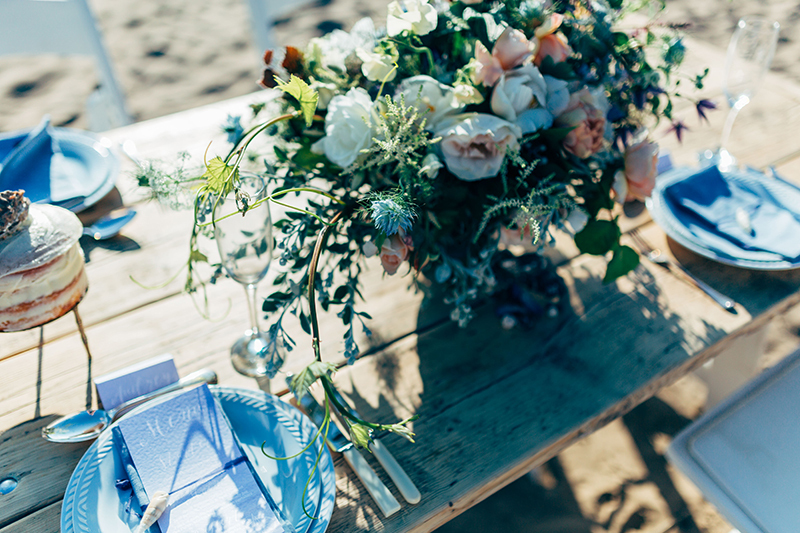 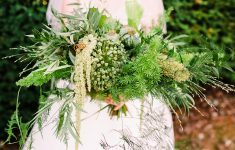 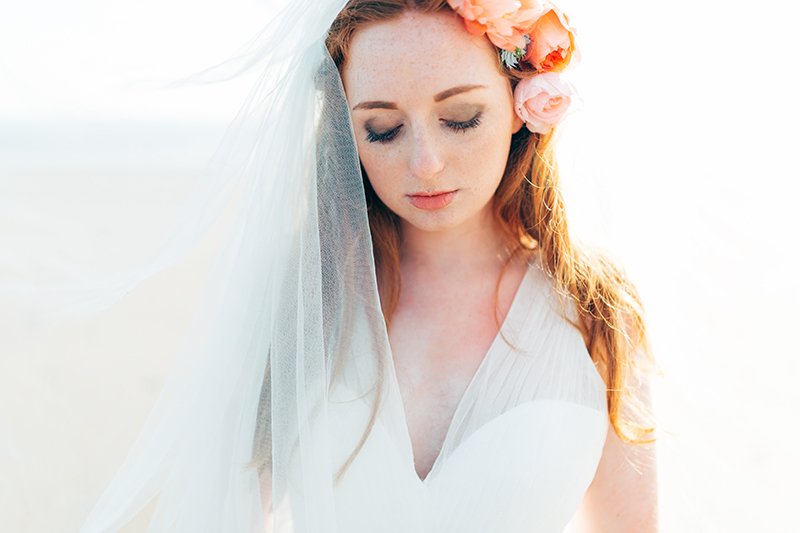 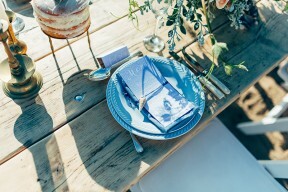 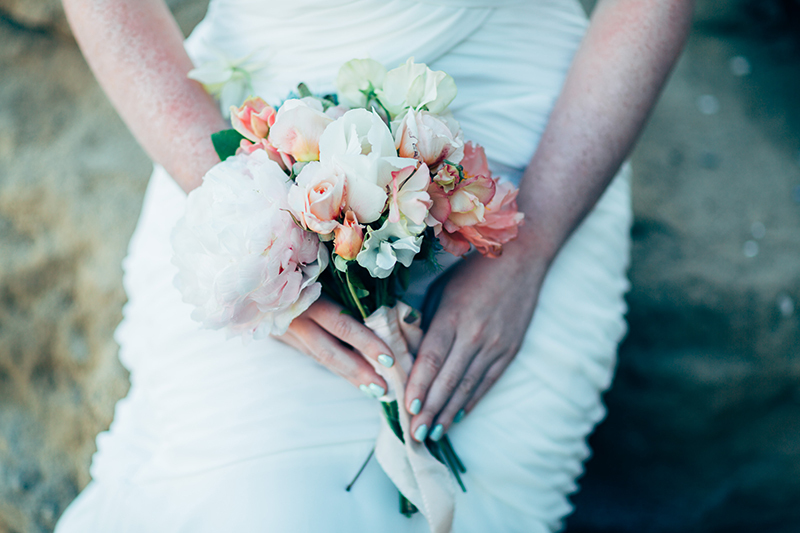 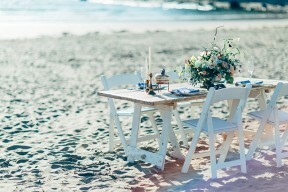 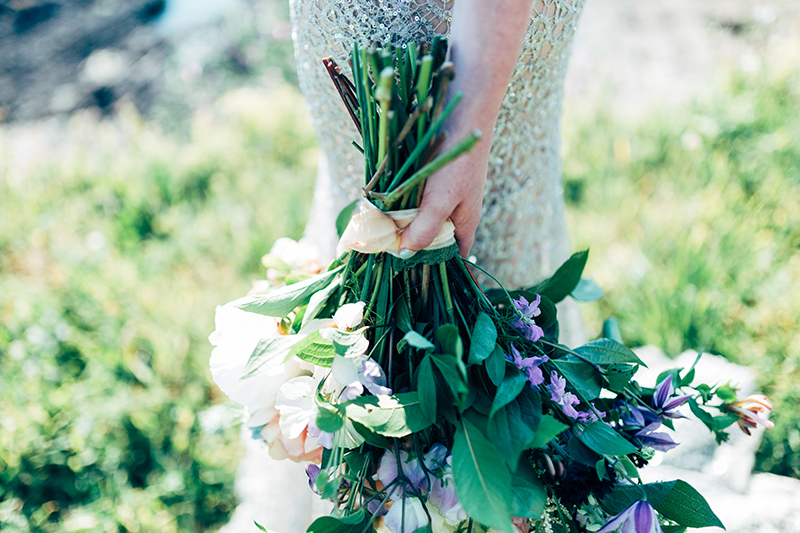 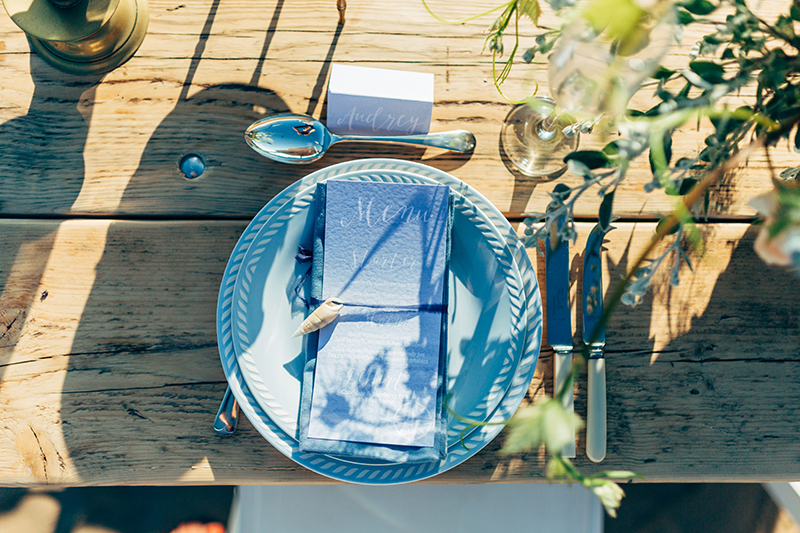 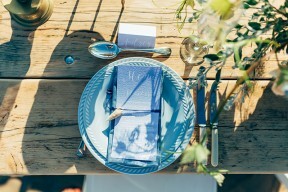 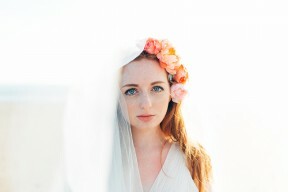 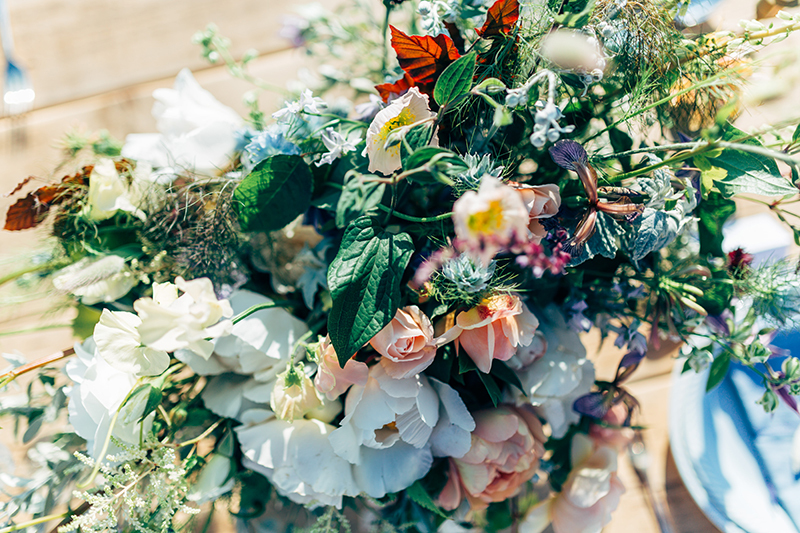 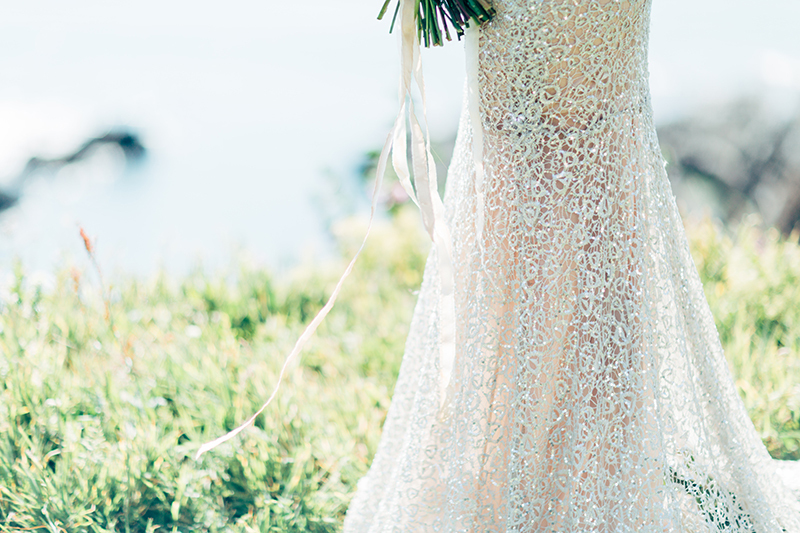 Our hope was to inspire couples to create a coastal inspired scheme without gimmicks – using natural materials and exploring their texture alongside the luxe finishes you’d normally associate with weddings and taking their lead from directional and enduring trends such a statement accessories, dramatic florals and dewy make-up. 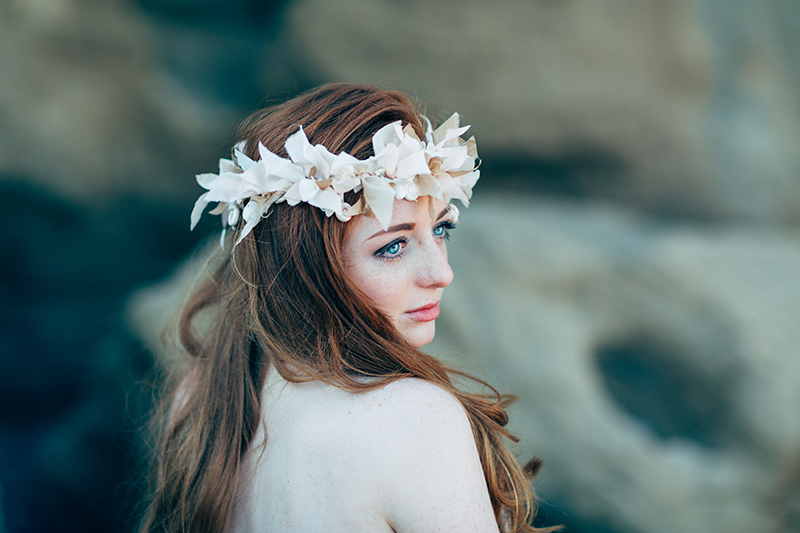 Model Lydia was the perfect muse – a modern day mermaid indeed!